Are drivers mistaking autopilot for autonomous? 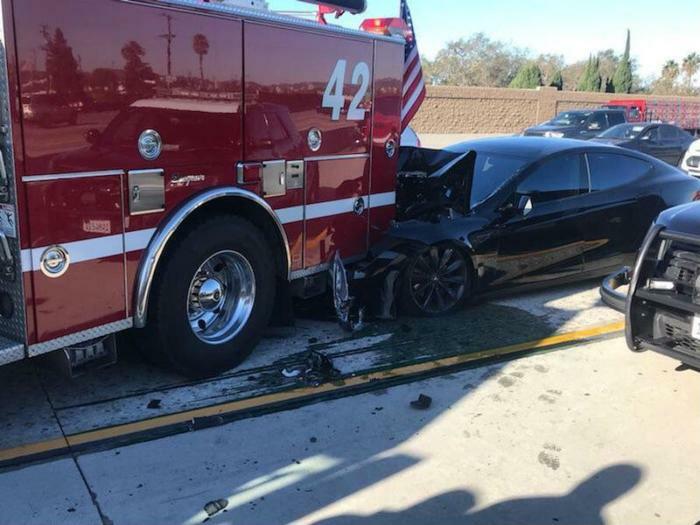 A Tesla Model S slammed into the back of a firetruck on I-405 in Culver City, California this week. No one was hurt, but the accident is being investigated by a team from the National Highway Traffic Safety Administration (NHTSA). The feds are involved because the car was reportedly in autopilot mode at the time of the crash. According to Culver City firefighters, who Tweeted a picture and information from the scene, the firetruck was parked on the shoulder of the freeway while its crew worked an accident. The fire department estimates the car was traveling 65 miles per hour when it plowed into the truck. With the auto and tech industries moving at full speed toward development of autonomous cars, every accident involving this technology is getting extra scrutiny. And this is not the first time a Tesla on autopilot has been involved in a mishap. On May 7, 2016, a fatal crash in Florida involving a Tesla on autopilot triggered a federal investigation to see what role the technology might have played in the accident. A year later, NHTSA issued a report holding the driver at fault, noting that the autopilot feature is not intended to pilot the vehicle without the driver's full participation. That's a point Wired Magazine makes in the wake of this most recent accident. It says consumers are confusing autopilot -- now available on some models of Cadillac, Volvo, Audi, and Nissan, as well as Tesla -- with autonomous driving technology. It says the two are very different. "We’re not there yet, and a growing body of evidence shows that these partially autonomous systems are lulling drivers into a false sense of security," the tech publication notes. Tesla has repeatedly told drivers that they must remain fully attentive and keep their hands on the steering wheel at all times when operating the vehicle. It says the autopilot feature is not designed to steer the vehicle around objects that might block the roadway, as autonomous technology would. There have also been a few minor accidents involving fully autonomous cars being tested on public highways. However, the human driver of the other vehicle was found to be at fault in nearly every case. Despite accidents that get national news coverage, AAA says its latest survey of drivers shows a growing acceptance of technology that takes over the driving chores. “Americans are starting to feel more comfortable with the idea of self-driving vehicles,” AAA Automotive Engineering and Industry Relations Director Greg Brannon said. “Compared to just a year ago, AAA found that 20 million more U.S. drivers would trust a self-driving vehicle to take them for a ride."